Hellfire mouse pad is a domestic mouse pad brand, is a kind of mouse pad favored by many gamers, the top layer of Hellfire mouse pad is a very smooth and grid – shaped cloth, the bottom is a very soft, similar to the rubber products, the bottom is anti skid grid, the overall feeling is very comfortable. In fact, it is made of rubber foam material. The Hellfire mouse pad is made of unodorless natural rubber and fine cloth, and then prints some patterns, which are the official logo of the Hellfire mouse pad. The Hellfire mouse pad has a lot of style. When we search for the mouse pad on Baidu, we find that many websites have the latest quotation for the mouse pad, and all are the quotations of the mouse mats. The Hellfire mouse pad is one kind, the Hellfire mouse pad has the features that the material is environmentally friendly, and there is a single and double, color version. This monochrome image version, Schwarzwald version, role version, MAP. The reason why it is classic is that it is popular because many people use it. 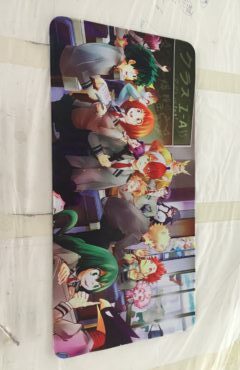 Many people recommend it to be a popular mouse pad.